US set for another downgrade as Treasury prepares for "extraordinary measures". As the federal government closes in on its legal debt limit, the U.S. Treasury is dusting off its book of so-called extraordinary measures — moves that will buy it a few extra months to finance Social Security, military salaries and other payments. 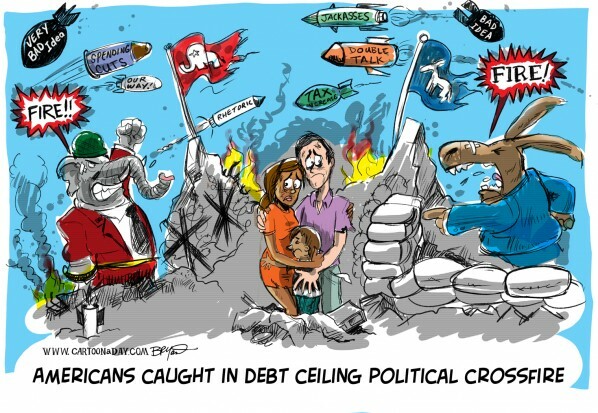 The U.S. was about $16 billion under the $16.394 trillion debt ceiling as of today. Treasury is likely to start taking steps that will hold off default until about mid-February or early March thru "extraordinary measures". So what exactly is done in "extraordinary measures" ? –Suspending sales of State and Local Government Series Treasury securities–special-purpose Treasurys known as Slugs that state and local governments use to comply with tax rules. The move doesn’t increase headroom under the ceiling, but it stops Treasury from piling on new public debt. This is used for infrastructure project and all the project will be stopped. –Redemption of existing and suspension of new investments in the Civil Service Retirement and Disability Fund after determining that a “debt issuance suspension period” exists. The action allows the government to redeem Treasurys held by the fund–last time around that worked out to about $12 billion over two months. 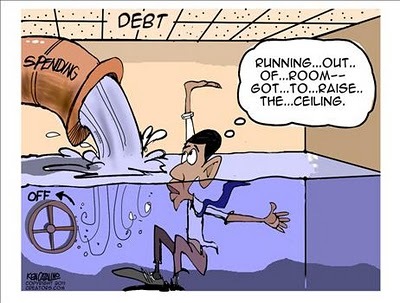 By law, the fund must be made whole once the debt limit is increased. –Suspending reinvestment in the Government Securities Investment Fund, or G Fund, a money-market defined-contribution retirement fund for federal employees. Federal employees wouldn’t be affected by the action–Treasury is required to replenish the fund. The maneuver bought Treasury about $130 billion in headroom last year. –Limiting investments in the exchange-stabilization fund, a reserve account related to foreign-exchange holdings. The government has about $23 billion in securities in the fund. During the summer of 2011, the prospect of default undermined confidence, forced the government to pay additional interest costs and led Standard & Poor’s to strip the U.S. government of its top-notch debt rating. Expect yet another downgrade in January, 2013.